Cancún is a city that was developed in the 1970’s to be one of the most important touristic hubs in the Caribbean, but it is also considered to be one of the most eclectic and cosmopolitan cities in Mexico. With more than 1,000 nationalities living in the city, you can find flavors from every corner of the country and even from all around the world. 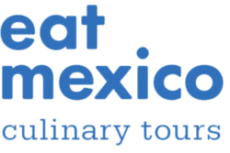 It is within this melting pot of flavors, where we can find that “Je ne sais quoi” that gives life to this delectable food known as Yucatecan cuisine. Yucatecan gastronomy is considered one of the world’s greatest regional cuisines. It shares much of the same pantry of ingredients and many culinary practices as the rest of Mexico, yet, due to its peninsular location, isolated from the rest of the country, it has also been influenced by flavors from other parts of the world like Holland, France, Lebanon and the Caribbean. It’s clear though, that Yucatecan gastronomy has a personality of its own, and this is thanks to some of its unique ingredients, which can only be found in this geographical region, either because they are native to the area or because they have been introduced by other influential cultures, but have never actually left the peninsula. Living in Cancún, I feel lucky to have this culinary heritage within arm’s reach. Here are four of my favorite ingredients from Yucatecan cuisine that you can find in many of the local Cancún markets. Also known as chicharra especial, its name comes from the mayan k’astak’án, which means “half-cooked”. Essentially, it’s pork belly simmered in lard, simple, yet delicious! Tacos of castacán are extremely popular all around the peninsula, without Cancún being the exception. This treat is even sold by the kilo! 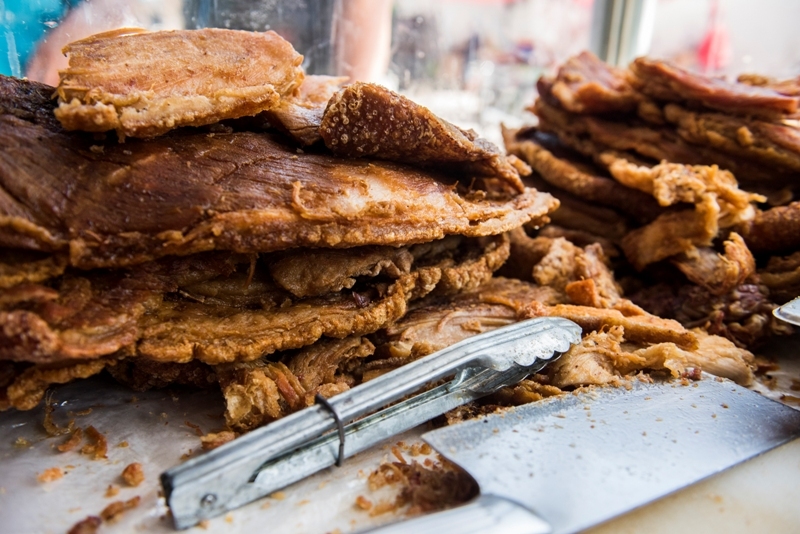 If I had to describe castacán somehow, I would say that it’s as if carnitas and chicharrón (pork crackling) came together and created the most delicious son ever! 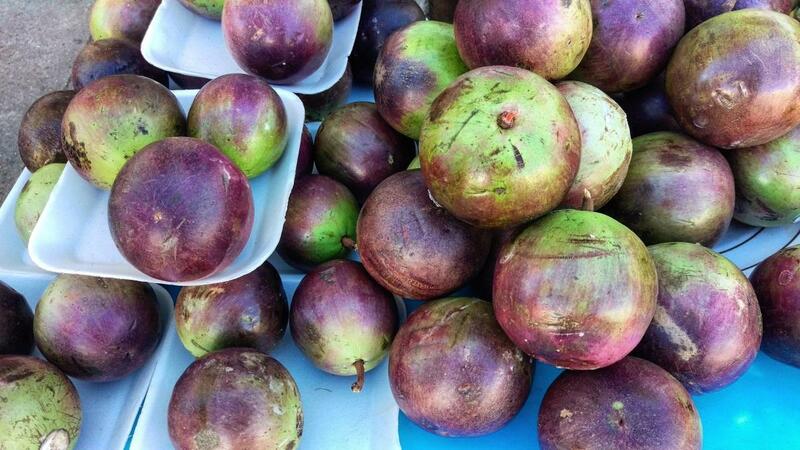 Also known as zapote caimito or cayumito, this fruit belongs to the Sapotaceae family, like mamey and chicozapote. In English it’s known as Star Apple, because when the fruit’s flesh is sliced open horizontally, its seeds radiate from the center in the shape of a star. Flavorwise it’s similar to mangosteen, sweet with a very slight sourness and acidity. The season runs from April to June. I’d encourage everyone to try an agua fresca of caimito during that time of that year! Chaya is a fast growing, large and leafy perennial shrub, related to the poinsettia. Chaya has been cultivated since pre-hispanic times and is amazingly still planted in family gardens today. There are several varieties of chaya, but the most common type, the chayamansa, cannot reproduce itself without human intervention. 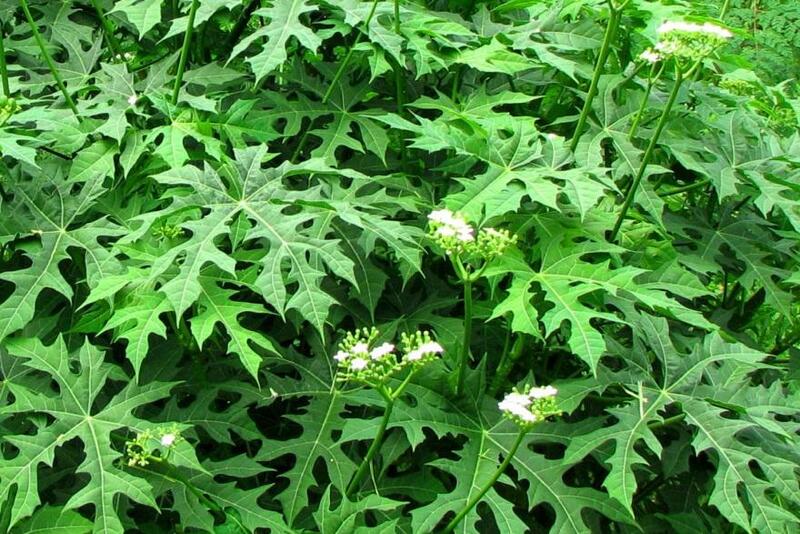 It’s found year round, but during the rainy months it’s more abundant and the leaves are more tender. Chaya leaves, which taste similar to kale or chard when cooked, are high in protein, and are two times more nutritious than other leafy greens such as spinach, Chinese cabbage or amaranth. But beware, Chaya should not be eaten raw: the leaves contain a high level of hydrocyanic acid and can be toxic when consumed in quantity. However, boiling the leaves for just one minute destroys most of the acid. There are many uses for chaya: It can be used in tamales, omelettes, quesadillas and even aguas frescas. 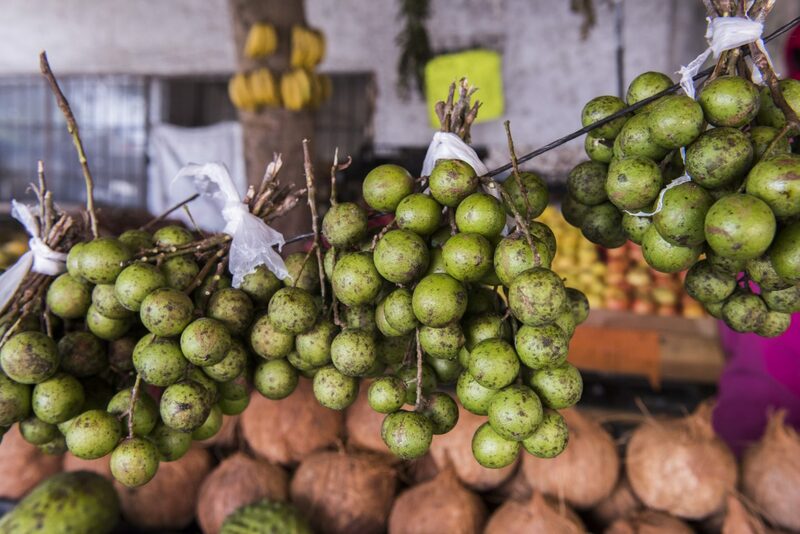 Huaya is also called guaya or mamoncillo and in English it’s referred to as honeyberry. Some homeowners consider it a pest, because its fruits and leaves are abundant and tend to fall to the ground, suffocating any other plant-life below. It’s consumed fresh, which is why we can only find it during its season from June to September. The skin needs to be peeled off and the cottony pulp inside has a sweet yet acidic flavor with an astringent aftertaste. Like many other fruits in Mexico huaya can also enjoyed with lime, salt and chile. 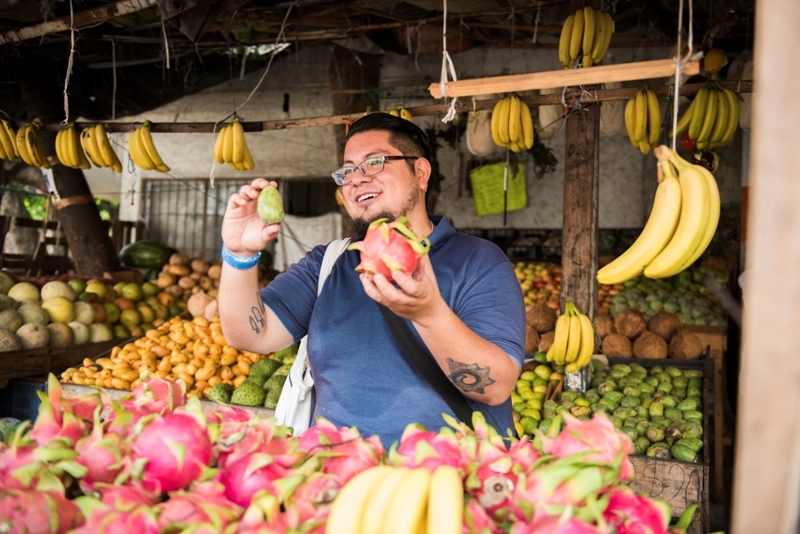 If visiting Cancún, make sure to join us on our Cancún Mercado 23 Tour, where you’ll definitely get to try some of these unique treats!